Earlier, it was reported that Microsoft will remove the dynamic tile of the start menu in Windows Core OS, that is, all the static icons. However, for the normal version of Windows 10, this approach may eventually be used, and authoritative sources believe that the probability of this approach is relatively large. 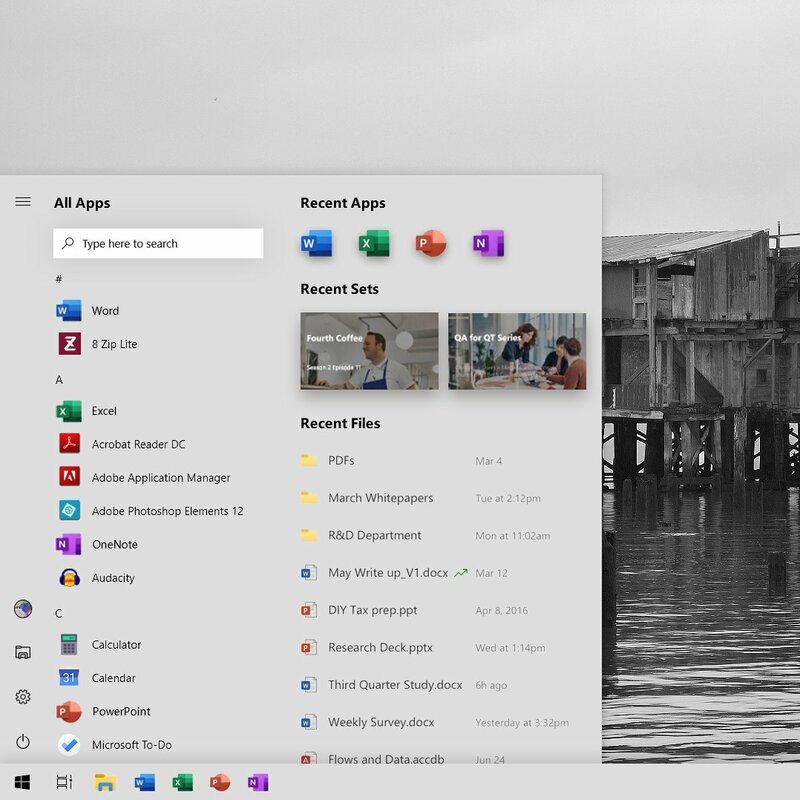 However, Microsoft may fill in more content in the Start menu, such as continuing to use the application list on the left and using the most recently used applications on the right. This form is somewhat similar to the recent search box for the Windows 10 Version 1903 beta, which now adds frequently used programs at the top. Only the left part of the start menu is retained, and then the left menu bar can be clicked separately, for example, the following figure shows the latest software and documentation. This style can be clicked on different menus to enter different scenes according to the user’s needs, while the right half of the start menu is completely removed. 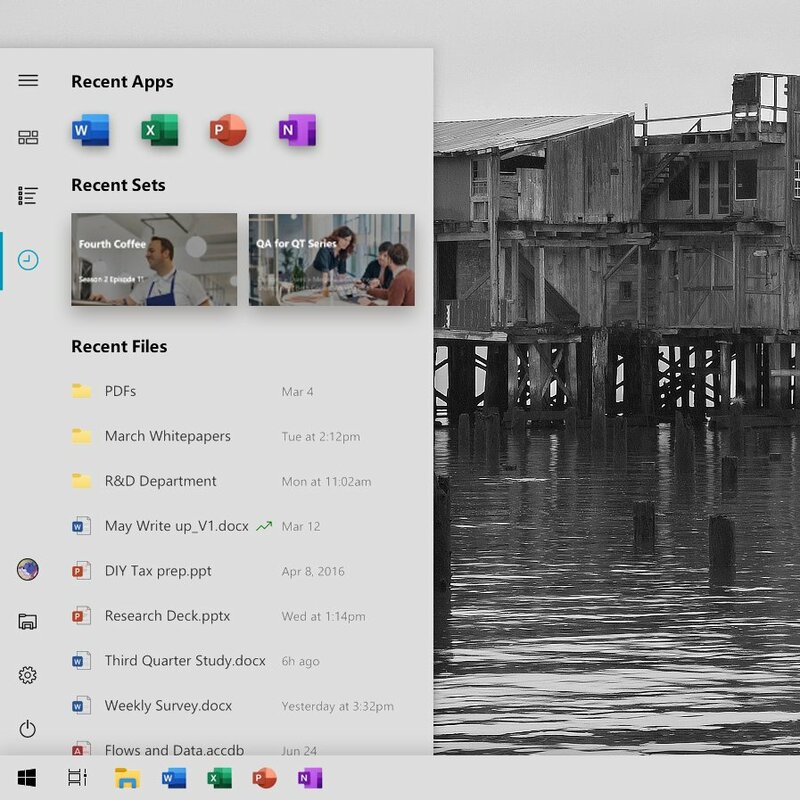 The start menu still retains the left and right sections, but the dynamic tile on the right side is completely removed and replaced with frequently used software and recently opened documents. Regardless of the style, the original software list is emphasized, that is, the traditional version of the start menu that is replaced by Windows 7 is convenient for the user to select directly.